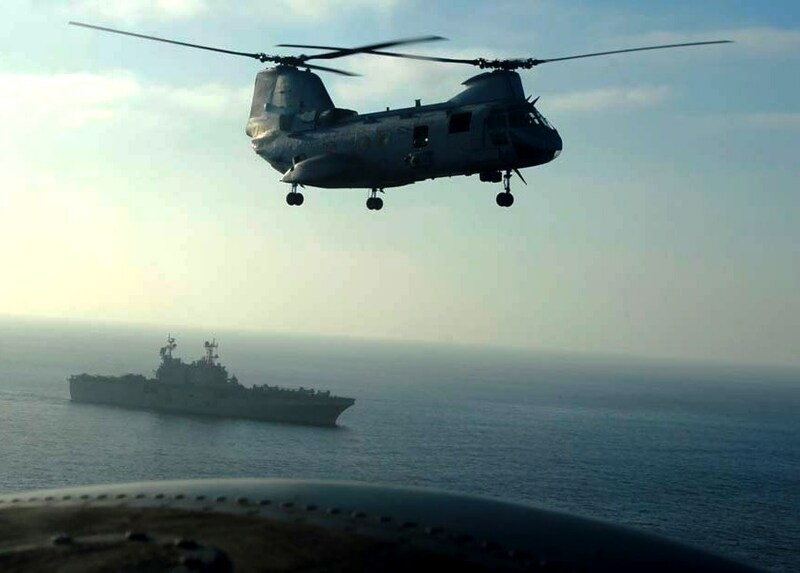 When the 15th Marine Expeditionary Unit sets sail aboard three Navy ships from San Diego, Calif., on Monday, its departure will mark the start of the final stateside MEU deployment for the Marine Corps’ fleet of CH-46 Sea Knight helicopters. The tandem rotor helicopter, nicknamed the Battle Phrog for its quirky silhouette, is getting replaced by the MV-22 Osprey tiltrotor, and the Camp Pendleton, Calif.-based 15th MEU will be the last stateside MEU to deploy with the Phrogs as part of its aviation combat element. The next unit that follows, the 13th MEU, is slated to have an Osprey squadron as the core of the reinforced squadron that gives MEUs their long legs, extra lift and firepower in the air. The “Purple Foxes” of Marine Medium Helicopter Squadron 364, based at the Camp Pendleton air staton, will make this historic deployment, adding another notable achievement to its long storied history. When they leave, though, other Phrogs remain flying around Southern California while Marine Air Group 39’s HMM-268 and HMMT-164 continue to support units with 3rd Marine Aircraft Wing and I Marine Expeditionary Force until the final Phrog is replaced with an Osprey.